There is a new feature on all blogs as of today! It is very cool and will GUARANTEE you get so much more value from these free updates. Check it out at the end of this post. You don’t have to earn the right to be happy. To be at peace. To have incredible love, wonderful relationships. You don’t have to pay a price to enjoy financial abundance, abundance of time, abundance of creativity. It’s not about obsessively holding the reigns of your own life, controlling your destiny so tightly that really what you control is nothing but the creation of more fear, more anxiety, more worry. About being secure and safe and certain of the knowledge that no matter what you prove or do not prove, no matter whose expectations you meet or fail, you, yes you, are an incredible and worthy woman. Take out a pen right now, and re-write that last sentence starting with “I am” and inserting your name where I wrote “yes you”. Abundance is waiting for you to to claim it. Love too, is waiting. Hoping you’ll reach out and just take your share. That fit, lean, healthy body you want? It’s also yours to take. That’s right sister. You’ve earned it, simply by being you. But here is what it comes down to, here is why you find it so hard to accept this and claim what is rightfully yours. Self worth is about giving yourself a first-class experience. Permission to live your version of a first class life. It’s letting go of the old, the torn and worn, the ragged and embarrassing. The messy. Taking pride in beauty, elegance, in quality. Self worth is also getting rid of the ragged and old emotions. Letting go the need to prove yourself. 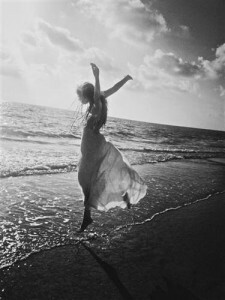 Letting go of fear, self-sabotage, anxiety, self-derision. Just choosing, right now, to love and accept yourself whole-heartedly for just being you. “I, ___________, am a worthy woman. I, ____________ , am a worthy worthy woman. I am worthy. I am worthy of love, just for being me. 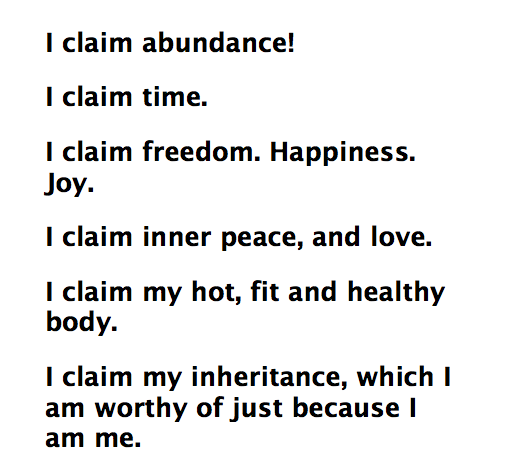 I am worthy of abundance, wealth, riches, just for being me. I don’t have to earn it. I deserve it just because every person on this earth deserves the best experience, the best ability to live, laugh, share, give, support and anything else good. I am worthy of a rocking hot body, just because I am. Not because I burned the most calories or ate the cleanest diet, not because I ticked the boxes but just because it is there, mine for the taking. And by knowing that I am worthy, by believing whole-heartedly that these things can be mine and are already becoming mine, I make them mine. I make it okay to have slip ups, to go off track, to change plans or even to fail. Nothing matters except the fact that no matter what, I am worthy. And by making it okay to have slip ups, go off track, change plans or even fail, I make it easy to live in my worthiness, to recognise and accept my own self worth. It’s a cycle of self-worth and acceptance. You can continue the cycle. You can keep trying to earn the right to be happy. To be at peace. To have incredible love, wonderful relationships. You can pay and pay and pay and pay again whatever you consider the price of enjoying financial abundance, abundance of time, abundance of creativity. Or you can just go ahead and take it. The one thing I would change right away is to relax more and stop trying to get “it all done” all the time. Give it a good go. Sleeping in this week to get rid of a cold and using natural methods instead of the usual keep on going until it gets worse then going to GP for antibiotics so that’s empowering. My pleasure Sara-lee, I’m so glad you enjoyed it!